When people bring up the name Chad Kagy, a floodgate of images opens up. X-games big Air Gold Medalist, Dew Tour Winner, a long-standing BMX professional on many levels. Some of the Kagy images less likely to get the attention of a flip-whip over a huge death gap, are the ones Chad shoots himself, throughout his worldly travels, and at home in State College, PA with his family, and his surroundings. Surviving as long as Chad has in the BMX game, with sponsor changes, personal hardships, and gnarly injuries like a broken neck, prove that he, the boy from Gilroy, is as tough and dedicated as any rider out there. Like professionals in any arena, Chad has learned life’s lessons the hard way, and picked up some valuable insight along the way, as well as an eye for some amazing photographs. Enjoy. I like to test out different lighting effects and write down how I make the image look a certain way so I can use the lighting in the future when I have someone to shoot other than myself. I get bored and want to pass the time creatively. This photograph was in Queenstown, New Zealand of a rare calm Lake Wakatipu. 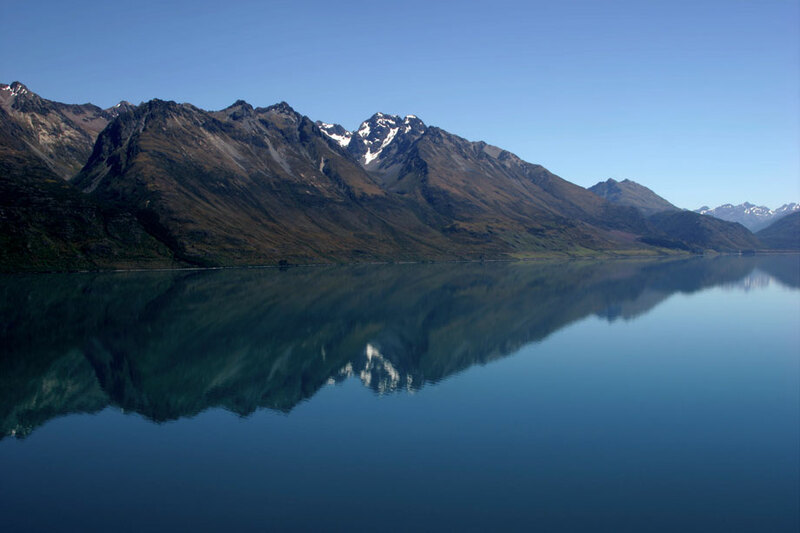 The crystal clear blue lake and clear sky make for a great reflection of the glacier cut mountain range. One of my favorite locations in the world. 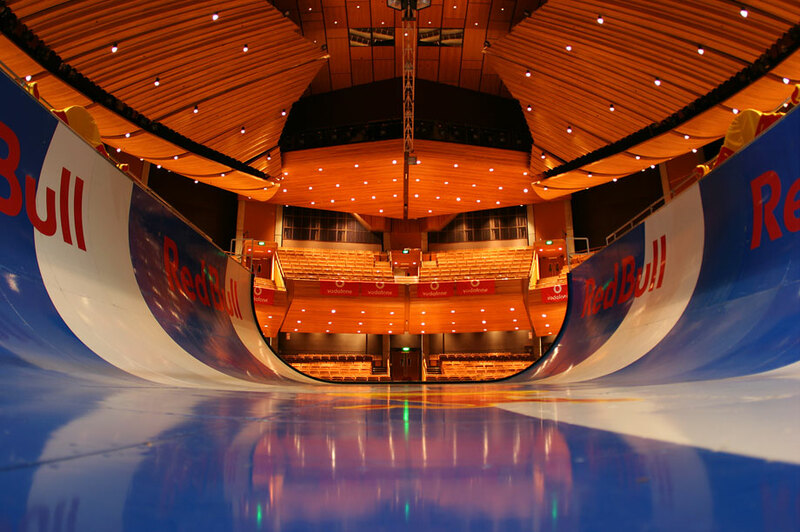 This was a vert comp inside of an opera house in Wellington New Zealand on a freshly painted Red Bull ramp. Everything looked so perfect and clean, not often they let a bunch of dirty BMXers and skaters inside an opera house so it was a one of a kind event. The acoustics made the crowd sound amazing too. Chris Doyle got a pretty good shiner, when I went over to see what was wrong he rolled up his pant leg and from where I was I started laughing. Not from his pain but from the irony of a Demolition pedal demolishing his leg. 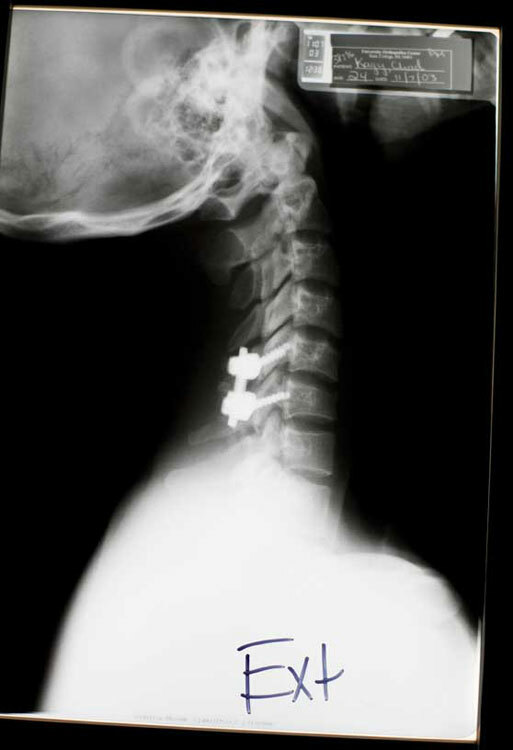 This is a photo of an X-ray of my neck a few months after surgery. Got to look at the big picture and it may have sucked to break my neck but it stopped me from doing a few tricks I had in my head that could have killed me. It also made me re-evaluate how I ride to become a better and safer rider. I drive around where I live to find interesting locations to shoot photographs and found a large foundation with rubble all around and somehow just this doorway was standing. 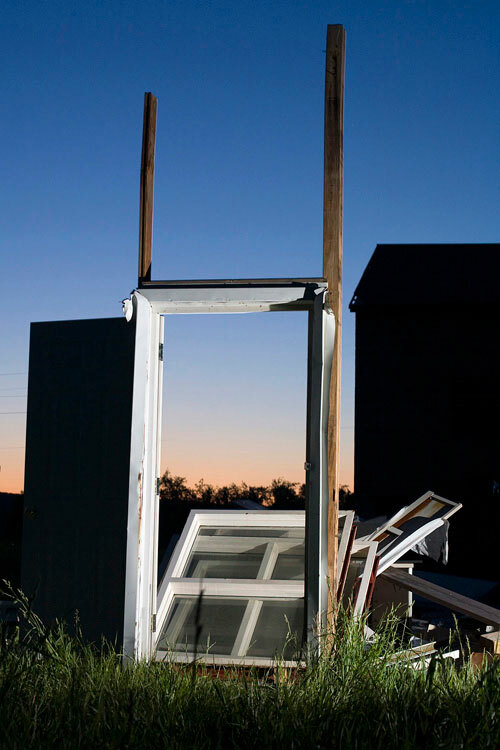 It’s the doorway to nowhere during a good sunset. 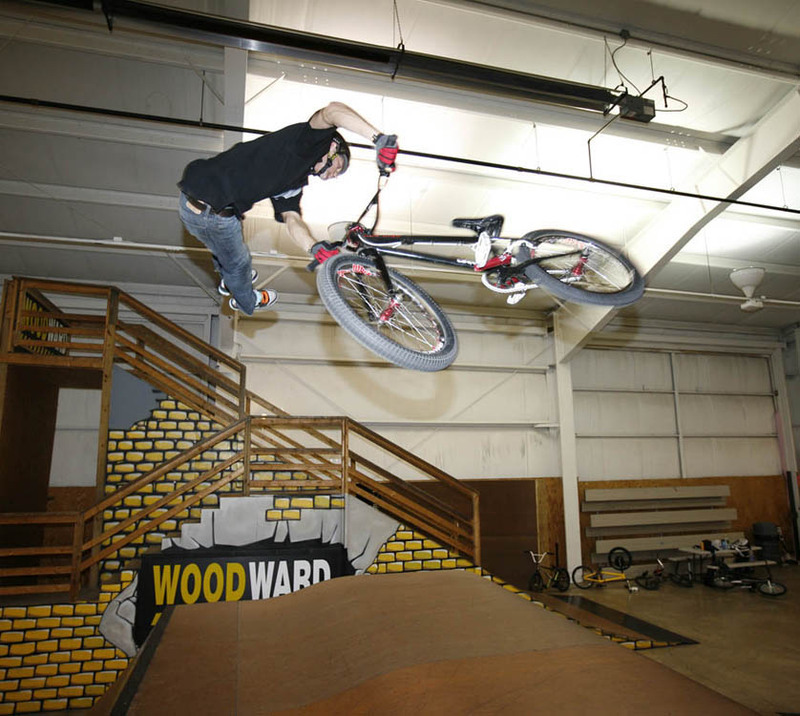 Woodward has always been a playground for me and other big kids but having my son with me showed me how much of a playground Woodward really is. 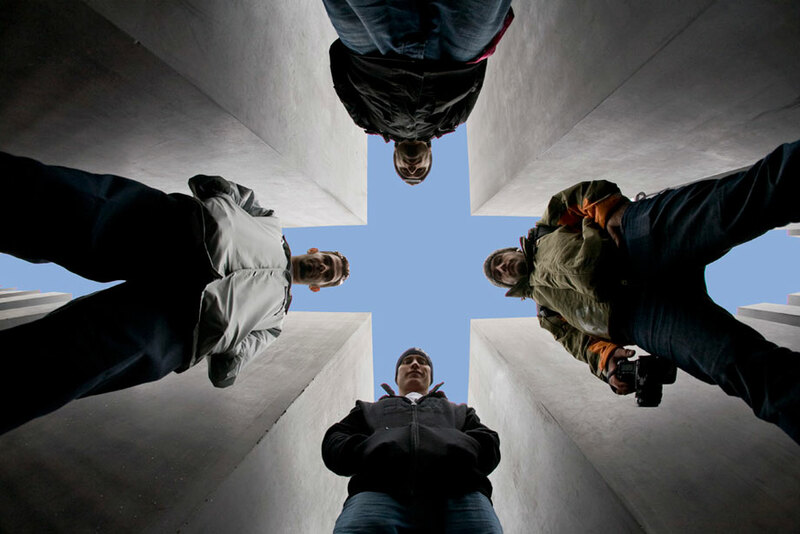 Vert comp in Berlin a few years ago had us in the city for a few days so a group of us went exploring and found the Holocaust Memorial. Wish a fish-eye lens and a timer I made this image with Franciso Zurita, Mike Mancuso & Eduardo Terreros. 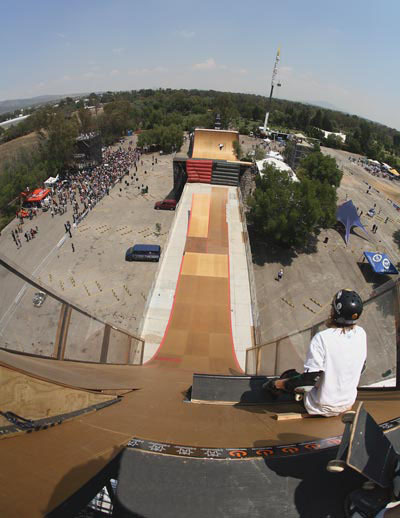 I went to Mexico City in 2006 to be the first BMXer to do a Demo with the Mega Ramp crew and when I got to the top I saw this view. The real problem I had with this was being the only bike rider meant I had to try to gauge my speed from the skaters & had a sketchy roll in to say the least. I loved it. Morgan Wade asked me if I’d like to go shoot some street riding with him while he was in State College. That’s not an offer I was willing to pass up, anything with Morgan & a bike is a good time and should be pretty wild. Over double peg with a landing through a brick doorway. 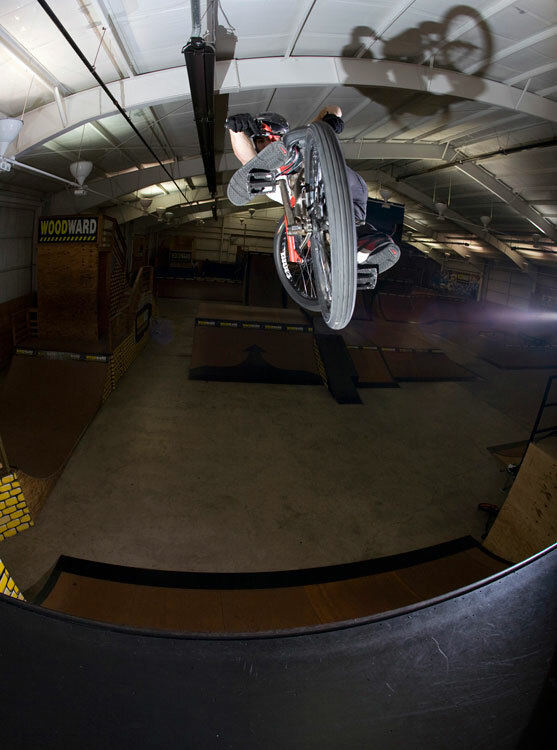 Brandon Dosch was at camp learning some new tricks and was kind enough to do them over and over to try different angles. We liked this shot the best. Seth Klinger has some damn good skills and makes shooting photos of his riding easy. This shot however was luck since I was shooting someone riding the other direction but pushed the button for the hell of it when he clicked a look-back and liked how it came out. Sometimes accidents are the best thing to spark creativity. I had my son with me at Woodward riding bikes and we took a break to sit on a ramp and watch a few guys ride around. Similar style shoes and sitting with our feet together made me smile and think “like father, like son”.